This Lawn Fawn penguin stamp set has the cutest penguin. For one thing he's ice skating with his scarf flying in the wind, and for another, that look on his face kills me! It's probably time to start thinking about spring and maybe even summer cards, but here's another winter card for now. The base is Bazzill kraft cardstock folded to 4x5". I cut the tag from Neenah white 80 lb cardstock with the largest of the Paper Smooches gift tag dies. I cut an additional tag and then die cut it again with the Simon Says Stamp stitched slopes dies. I cut the penguin and banner from the same white cardstock. The banner is from the Lawn Fawn blue skies stamp set and was cut out with the coordinating dies. 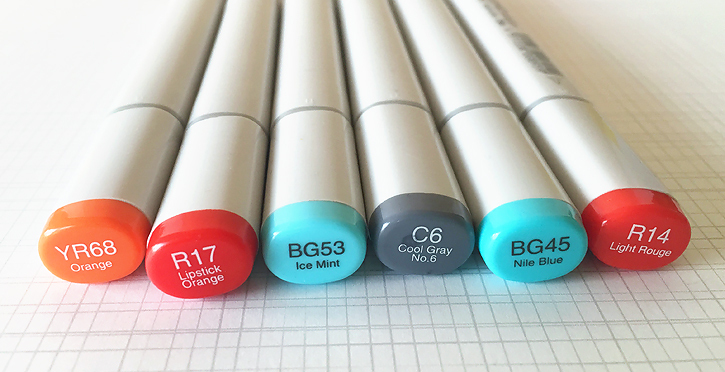 I colored with penguin and banner with just a few of my copic markers pictured below. To create the snow background, I used the Simon Says Stamp falling snow stencil with Hero Arts pigment ink in unicorn with a mini ink blending tool. 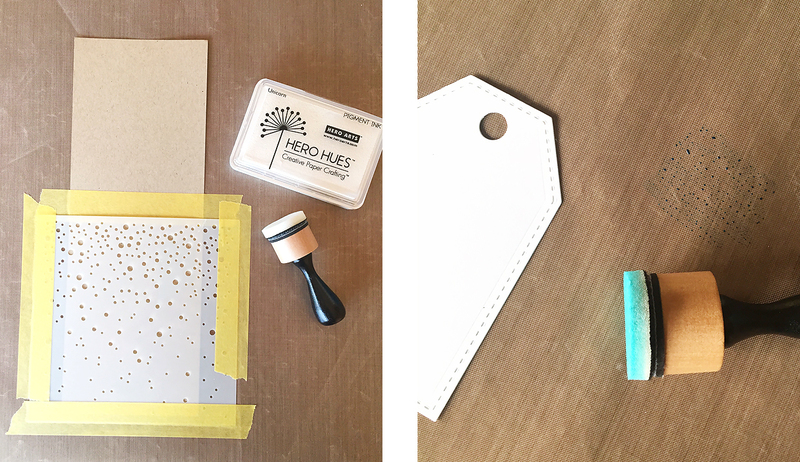 I taped the card and stencil to my craft mat so that it wouldn't move around. I also used a distress marker in tumbled glass scribbled on my mat and picked up with the blending tool to color the sky on my tag. For the patterned paper border I used a cute red pattern from the Lawn Fawn snow day 6x6 pad. 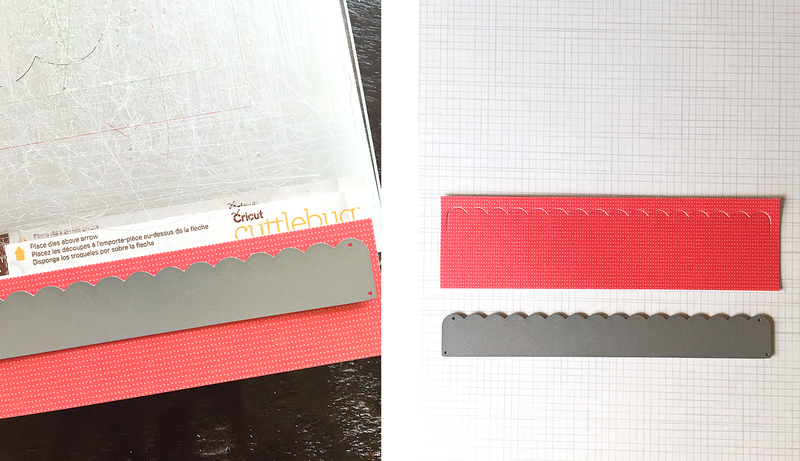 I cut it with the scalloped border from MFT blueprints 4. I didn't want to cut out the entire scallop border so I placed in on the edge of my cutting plates, apparently ignoring the rule to place dies above the arrow but it worked out okay. 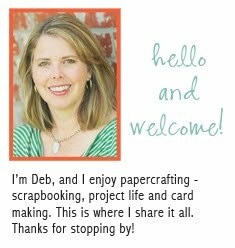 :) I then trimmed the scalloped border to fit on my card. I assembled the card as shown. 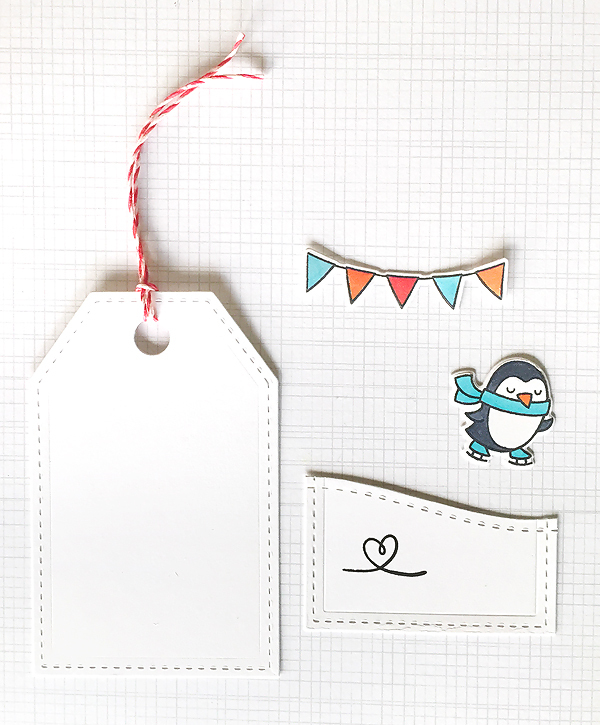 I used dimensional adhesive on the tag, slope, penguin and banner and added red twine. I also added the little kraft circle on the tag's hole which I cut from a different Paper Smooches tag die set. I had the most fun putting together this card! That ice skating little penguin with the banner over his head just makes me happy. :) I'm linking with the Lawnscaping Challenge where the theme this week is dots and stripes. Supplies used in today's card are linked below. This Winter scene and penguin are just too cute, Deb! You make the cutest cards! I love this!! Adorable card! I love the background you made, and the layout is so much fun! Thanks for playing the Lawnscaping Challenge! Such a cute card!!! Love your background and the little penguin, adorable! This is super darling and festive! You did awesome. Love the color palette too. Thanks so much for playing along with us at Lawnscaping!